Finally!! 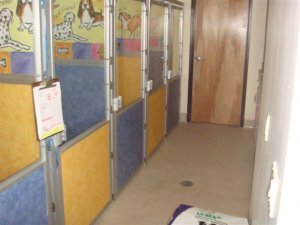 After a much demand, Aloha Animal Hospital is proud to announce luxury boarding and day care. We're calling it Paradise Cove. A boarding dog should not be bored and definitely not neglected. We have very limited numbers of runs to assure your canine gets all the attention we have to offer. There are eight 36 cubic foot runs with access to an enclosed play ground. Paradise Cove has web accessible cameras to allow you to see your companion from anywhere in the world. Internet streaming video allows you the simple peace of mind that your dog is content. You decide how many times you'd like your pet walked and with whom to play knowing that your veterinarians are just around the corner if any ailments need addressing. We are very proud to offer this service. Why not let your dog experience a little paradise while you're gone?